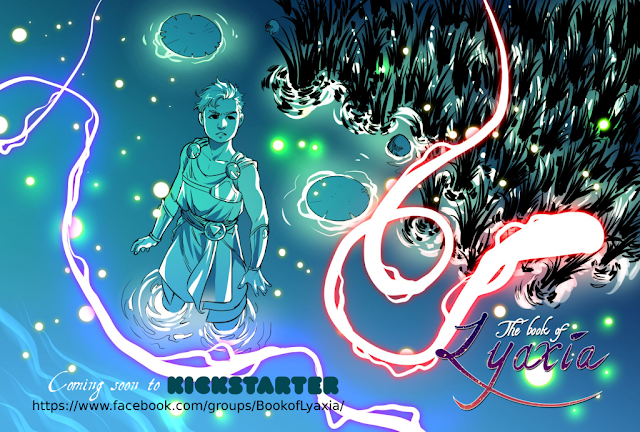 In this latest Kickstarter, see every mythology explored in Book of Lyaxia #1! Plus enjoy an in-depth interview with the creative team of this mythical adventure. 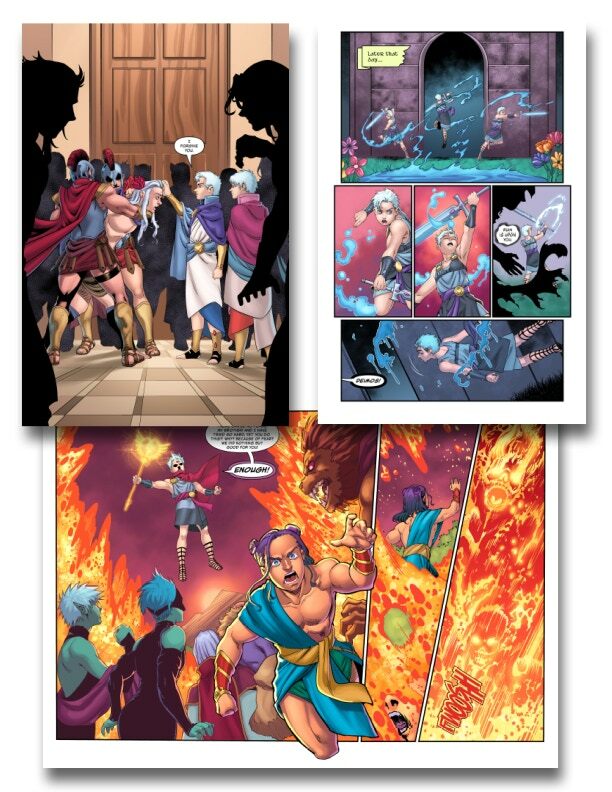 The Book of Lyaxia universe includes every pantheon, from Greek to Egyptian. This particular book focuses on the twin brothers Deimos and Chronos as they explore this chaotic world. They’ll deal with themes of family, love and war, as well as finding your place in the world and discovering your destiny. And in this world, doing good is much more dangerous than doing wrong. 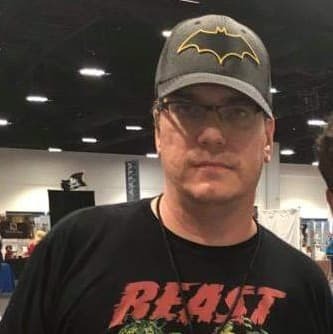 Creator and writer Aron Pohara immigrated to the United States from Crotia in 1997 because of a rift created by the Baltic War and uses comics and movies as an escape, and he enjoys mythology because of the hopefulness it brings him. Hence the love he’s poured into Book of Lyaxias. His artists are Team Diaverik (comprised of Andy Baquerizo and Tsubasa Yozora) along with colorist Jesse Heagy and letterer Francisco Zamora. The Kickstarter is trying to raise $2,500 by November 30, 2018 at 7:59 PM EST. Rewards include digital ($5) and physical ($10) copies of Book of Lyaxia #1 with options for variants ($15) and art prints ($20). 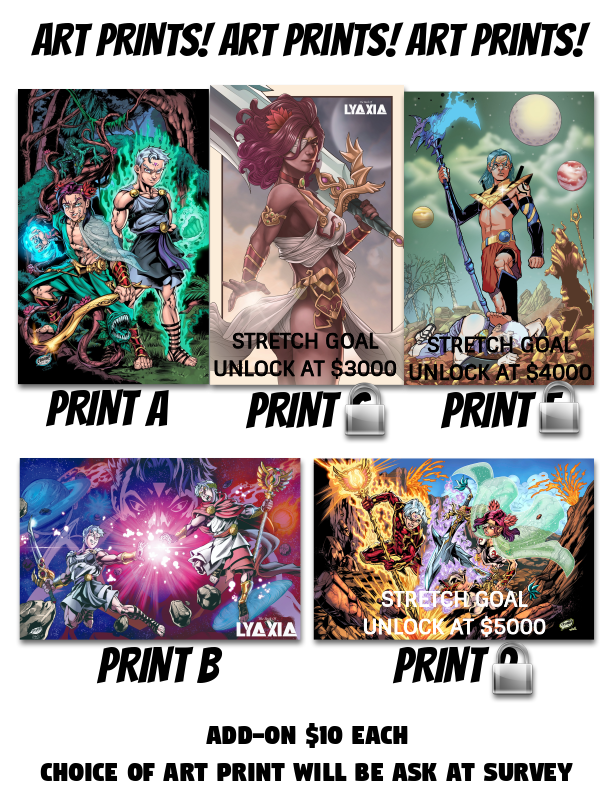 View the rest of the reward tiers on the Book of Lyaxia #1 Kickstarter. 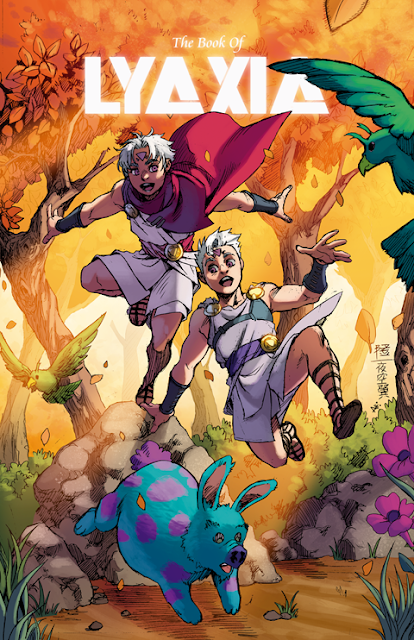 I spoke with writer Aron Pohara and colorist Jesse Heagy about their mythical adventures below! Me: How would you describe the world you've created in Lyaxia and the inspiration behind including all of the mythological pantheons in it? Pohara: What I want to do with the world of Book of Lyaxia is to express the majesty that mythology has in a brand new light. More than that; I wanted to make sure the readers can somewhat see themselves in those situations. Ask questions; what would they do if they were faced with adversity and choices the characters in the book are? 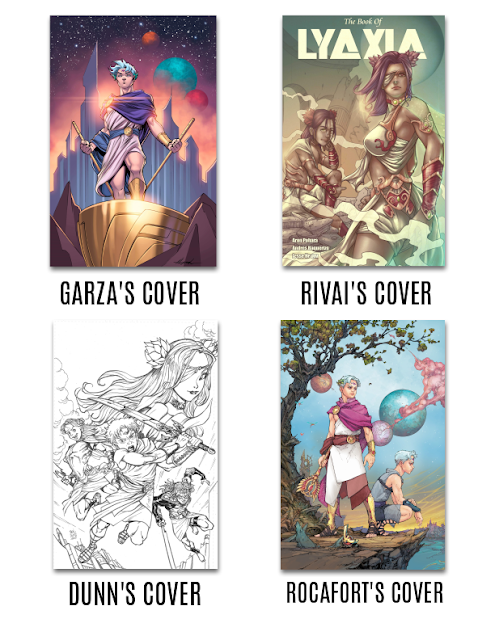 As for inspiration, it comes from the old mythological stories as I really grew up reading everything from Homer’s Iliad to Mahabharata as well as old English folk tales and of course tons of comics and cartoon shows when I was a kid. To me Gods are the original superheroes and I just wanted to give them the gravitas they deserve. Me: If you could only be part of one pantheon in this story, who would you join and why? Pohara: I would probably like to be part of the Anastos family that here is represented by Adonis, Ares, Hypnos and a few others you will meet down the line. Reason for it: they are close enough to the ruling family without having that responsibility of the power and everyone trying to take them down. They have some fantastic vistas as well that you will see later. Plus with someone like Ares on your side wouldn't you want to be part of it? Me: If you had to pick your favorite story originating out of the pantheons, which story would you pick and why? Pohara: This is a really tough choice as every story is unique in its own way and really represents different things. 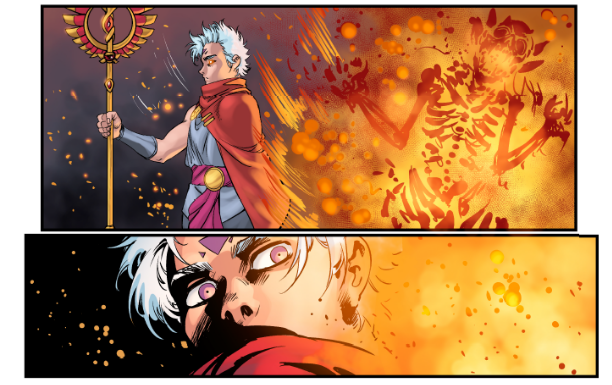 But Deimos and Chronos' story, the one the first arc will complete, is certainly one of my favorites because it is both a great standalone arc as well a catalyst for other stories that may follow it. Me: How would you describe the differences between Chronos and Deimos? Pohara: The most obvious differences between Deimos and Chronos is that Deimos is a lot more measured, keen to see past the differences between families. He believes in giving people chances and one could almost call him naive. Chronos is a lot more callous, a lot more calculating. He's not bad per say but he doesn't like to let things slide as much as his brother does. 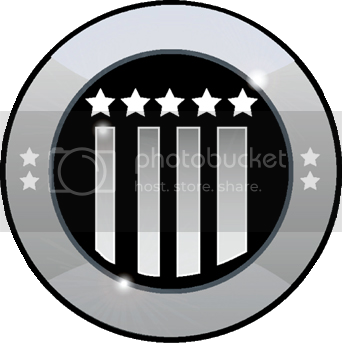 For the others? You’re going to need to read the story! Me: How did you go about finding Team Diaverik and Jesse Heagy to work on the art? Pohara: Finding artist was actually the most interesting and most challenging part of the process. 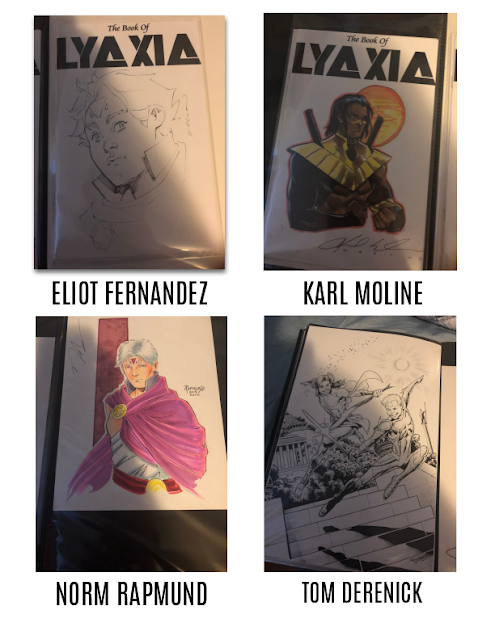 When I started the process, I was mostly going around in artist alleys at conventions, trying to find someone that could represent the characters I had in my head. Thing was, a lot of the artists didn't really want to commit to the book, they only wanted to do covers or pinups, which was fine. But I didn't have an artist. Originally I had Ale Garza to do the character designs for me, but he wasn't available at the time as he was working on other projects. He finished a first design for Deimos and after that his schedule was getting packed. It was Ale that recommended Andy to me originally; and after going through some of the art and talking to him, I found that he's a perfect match for the book. He finished the characters in the outfits you see there; we made a few changes and the rest is history. Jesse was Ale's recommendation actually as well as he worked with Ale on couple of books and pinups; and the way I recruited him was that we did a test run of the character coloring on a commission that I got done at a convention. Both Jesse and Andy are fantastic to work with and add their own voice to the book with suggestions and revisions when they find something that could use tweaking. It's a true collaboration and I feel like I truly hit the jackpot with the creative team I have here. Me: Beyond issue 1, what are your future plans for the comic book? Pohara: The first arc of the Book of Lyaxia is seven issues; that is coming out. I am not going to leave anyone hanging. Each chapter is a piece of a puzzle that is going to be fully connected by the end of the 7th issue. Issue 3 is currently being drawn and Jesse is well on his way finishing the colors on the 2nd issue. I have every intention of finishing the first arc as I am currently writing a 6th chapter myself, tweaking few things. So the first arc will be finished 100%. There are stories beyond that, and possibly even one-shots that focus on certain characters. 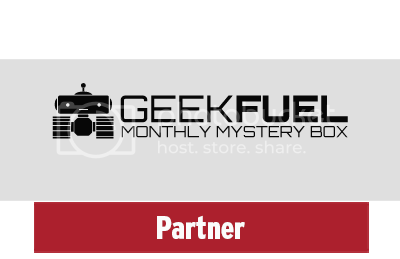 Me: What is the number one reason why people should back your Kickstarter? Pohara: For anyone that loves mythology, epic stories and wants to support indie comics, this book is for them. For the backers, I can just tell you that the book is done. Stretch goals are done. This is a pre-order campaign. Anything I get from it will go toward printing the book and delivering it to you. Pohara: The most important thing I can tell anyone wanting to write a comic book, draw something or anything else you are good at is: never stop and more importantly don't try to stray from your original vision too much. You'll have people telling you no; don't be afraid of it. Tell a story you want to tell, for yourself. Write for an audience of one, because ultimately that's what is genuine. And one additional thing I can say is: don't question YOURSELF too much; don't question every decision you make, every line you draw, or sentence you write. Finish the product. Then re-read it and tweak it if necessary. But don't start re-writing over and over again. Tell a story that comes to you; don't try to process it too much. Me: Jesse, How did you go about picking what kind of color palette to use for Book of Lyaxia? Heagy: I wanted to give it a fantasy feel and Aron had given me some direction where he wanted the environment to go in each land. This basically led to a use of purples and pinks, to a much cooler feel on the "other side". Me: Of all the pages you colored in the first issue, which was your favorite to do and why? Heagy: The scene at the table where the princes are being questioned and someone is set ablaze by one of the princes, displaying his crazy powers that have not been seen before. Firstly, it was my favorite because I really like coloring flames and explosion, and secondly, it is the first action scene of EPIC proportions. Heagy: I've always enjoyed the story of Zeus, overthrowing his father, Cronus, and imprisoning him with the help of his brothers. Considering Cronus tried to kill Zeus as a child, it is a pretty slick revenge story. Heagy: If you want a well-thought out-story full of fantasy and mythos, and great art, check this one out. 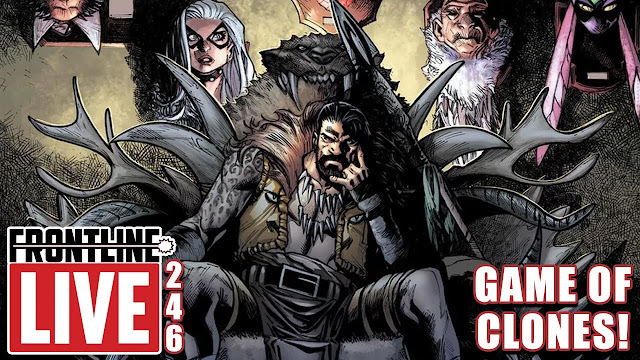 Aron has a ton of issues ready to share with everyone and the story is very cool, starting out on the fun side, and will delve into the darkness as well. Heagy: Practice, practice, practice. I've always tried to take a little something from other colorists that I admire and liked over the years, and try to compile these techniques to get a unique style of my own. I have done this for 10+ years and I am still learning and evolving. Make sure that you are open to criticism and don't get frustrated. Me: Thank you all for taking the time to share the mythology with us! 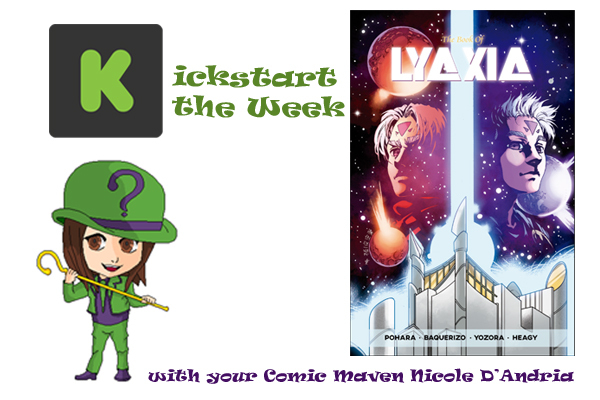 Readers, if you’re interested in exploring multiple pantheons, check out the first Book of Lyaxia on Kickstarter.